Our photos are 100% compliant with embassy and consulate specifications. We have been a preferred legal photo studio since 2003 and provide both printed and digital versions of photos. We provide express and guaranteed passport photo services in center of Orlando, FL. For same day appointments email or call our Orlando Orange County location at (407) 610-2451 for same-day service availability. NO REJECTS! We'll help you to avoid passport and legal documents processing delays by producing photos that are guaranteed to be accepted. (!) Embassies and consulates strongly advise against using Mail and Package stores, Drug Stores and Shopping Super-centers as their photos are rejected during the application process. Same day service on ALL legal document photos which are printed while you wait. We print ALL types of National and International passport, visa, green card, lottery, license, government IDs, electronic diversity and digital immigration photos. As a professional studio we can take and print all non-standard and irregular size pictures. Great looking high quality pictures that look natural for all skin types. Makes your passport and other legal documents look good! New & Enhanced digital technology for perfect and guaranteed acceptance photos. All photos are taken by a professional photographer on premises. Please wear a solid-colored top/shirt to ensure a proper contrast with the photo background specifications. Do not wear white or slightly off white colors. Please note that we do not provide pictures of children under 2 years of age. Important! We do not use instant photo printing cameras or edit photos in any way. Editing photos is strictly prohibited by embassies and consulates and facilitates application process delays and rejections. We utilize photo equipment that is designed to produce professional legal document photographs helping you to avoid passport, visa and Diversity Visa (DV) Lottery processing delays and rejects. All photo sessions are done by a full time professional photographer and the photos are processed and printed while you wait. Other country specific, International (including European Union), non-standard and irregular size document passport photos and citizenship photos are available per customer specified photo requirements. Canadian passport photo pictures and all International pictures are printed by the new updated specifications. We also take pictures for Gun License and Firearm Permits. USA green card diversity Immigrant Visa program lottery photos are provided as digital files either on a CD, customer external storage devices or via Email and guaranteed to meet the US digital green card Diversity Immigrant Visa requirements and applicable photo specifications. When online applications are submitted for USA green card diversity immigrant visa program, they are automatically verified by the USA government application acceptance system. We provide photo printing of all European Union (EU) International travel and immigration documents. We regularly update photo requirements for the following EU countries: Austria, Belgium, Bulgaria, Croatia, Republic of Cyprus, Czech Republic, Denmark, Estonia, Finland, France, Germany, Greece, Hungary, Ireland, Italy, Latvia, Lithuania, Luxembourg, Malta, Netherlands, Poland, Portugal, Romania, Slovakia, Slovenia, Spain, Sweden and the UK. 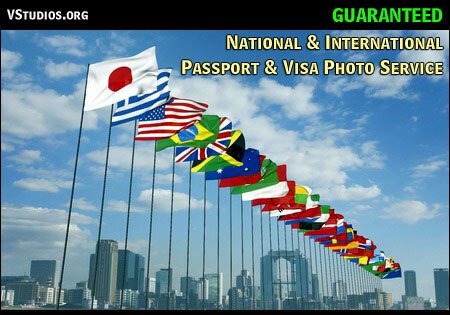 All International passport and visa photos are 100% guaranteed and are available per custom specifications provided. Walk-ins are welcome for passport and visa photo services, however, please call us with your approximate arrival time. Weekend services available for group document photos only. License and certification photos are available if custom specifications are provided by customer. Guaranteed photo service is applied for the following services: green card photos on CD or DVD disc, passport pictures on CD, same day photography by professional photographers, visa services, green card photography, license photos, lottery, government ID pictures, same day passport photos and citizenship photos. 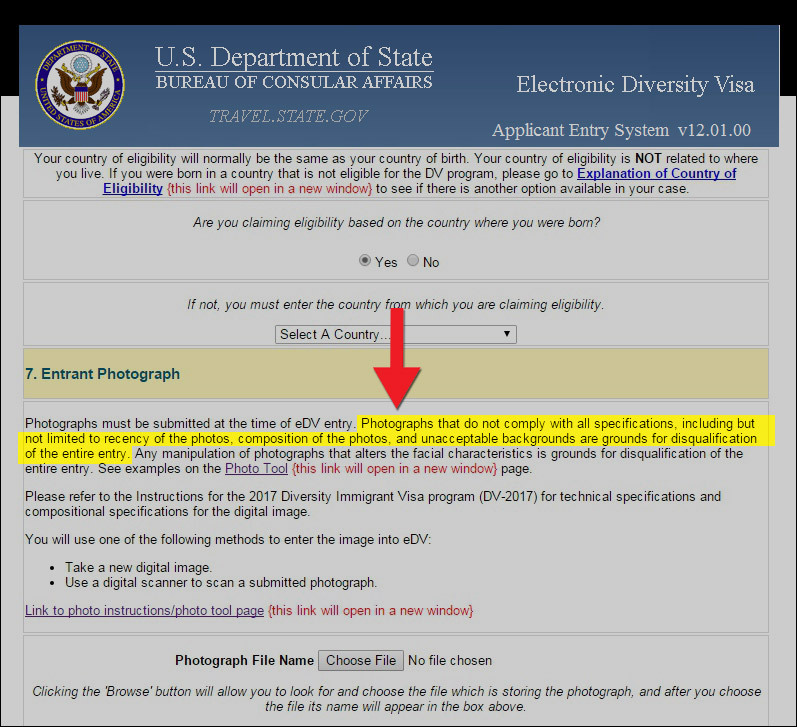 US green card lottery and Diversity Immigrant Visa photos can be provided in both electronic and printed versions. Industry specific photo/picture services are firearm permit, construction supervisor, medical license, gun license photos and other various certification documents. Passport and visa photographs are legal documents that serve a purpose of Photo Identification (photo ID) and are used to present an official document holder. 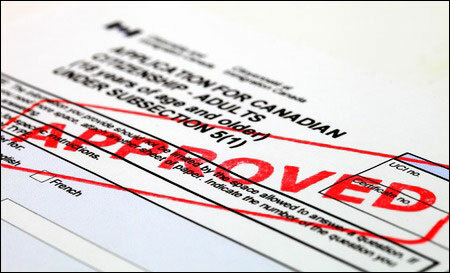 Generally, a photo ID shows only the facial attributes of the document holder. Some countries, excluding the United States (US) and United Kingdom (UK), use a single government issued picture identification card as a proof of age or citizenship. Each country’s photo requirements for passport and visa documents differ from each other and biometric requirements and specifications must be carefully followed to ensure that a legal document is approved by an embassy or a consulate service. The biometric identification photo documents are processed by the facial recognition, fingerprint recognition, and iris recognition systems used in the Board Control Systems. Without the exact specifications applied to photos, the system may fail, and therefore each photo of an applicant must be reviewed by the staff of embassies and consulates to determine which photos are rejected or accepted. Rejected visa and passport photos significantly delay processing of the immigration and travel applications. When an applicant received a rejection notice due to an improperly formatted visa or passport photo (including the DV Visa pictures), the application waiting period is often reset to its initial state, meaning an applicant may need to wait a prolonged amount of time to get a visa or passport approval. Embassies and consulates prefer passport and visa photos and digital pictures to be taken by a professional legal document photographer. There are professional photographers who specialize in different photograph types. A professional legal document photographer regularly follows the new updated photo specifications and receives updates from immigration and border control institutions. It is also worth attention that although companies such as CVS, Walgreens, Wal-Mart, UPS stores and FedEx Office and Print, Kinko, Mail and Package stores are attempting to monetize on passport photo pictures, these photographs are not taken by professional legal photographers, and taken by the instant picture cameras. The photos taken by the companies that do not specialize in national and international passport photography are often rejected. Photo Studios not specializing in legal passport and visa photo documents. Although the above vendors clearly indicate that they do not provide international passport pictures, mistakes occur and document applicants use these services just to find out later that their immigration and travel documents are not accepted due to a faulty photographs. Embassies and consulates strongly advise against using Mail and Package stores, Drug Stores, Shopping Supercenters and photographers without legal photography expertise to be used for immigration and travel application photos. The online photo validating tool for the DV, does not actually check for proper image bio-metrics. It only checks if the photo is 600×600 pixels in size and under 240kb. DV photo documents must fully comply with specifications, which not only include background tone, picture size and lighting quality but precise bio-metric facial measurements. This is the most common issue with unqualified vendors that provide photo services and use online validation tool to do the image check without actually confirming that the image was accurately produced. 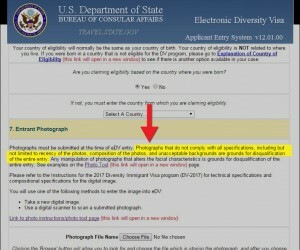 The US government agency handling the DV lottery application processing may not ask you for another photo if it was not properly produced at the time of application. These applications can be SILENTLY disqualified and the applicants will not receive a reason for not winning the lottery. Note: Vaskevich Studios strictly follows ALL of the above requirements. 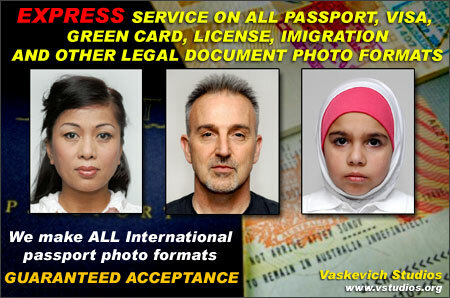 If your travel and immigration document is important and time sensitive, Vaskevich Studios offers a 100% guarantee on all pictures taken at no additional cost. We also follow application regulations for firearm permits, medical license, gun license pictures and other legal certification documents. Our photography, audio recording and video production services coverage area includes but not limited to center of Orlando / Orange County districts and the following cities: Aloma, Altamonte Springs, Apopka, Azalea Park, Azalea Park, Belle Isle, Casselberry, Celebration FL, Clermont, Cloud FL, Cocoa FL, Conway, Conway, Davenport, Doctor Phillips, Eatonville, Edgewood, Fairview Shores, Fairvilla, Fern Park, Forest City, Goldenrod, Holden Heights FL, Kissimmee, Lakeland, Lockhart, Longwood FL, Maitland, Merritt Island and Cocoa Beach, Melbourne, Mims, Oak Ridge, Ocoee, Ocoee, Orlando, Orlovista, Oviedo, Pine Castle, Pine Hills, Port Saint John, Rosemont FL, Sanford, Sky Lake, Titusville FL, Union Park, University Park FL, Windermere FL, Winter Garden, Winter Park, Winter Park and Winter Springs FL. For most projects that require photography or video services delivered outside the studio location, there are no additional travel fees applied to the locations in close vicinity of Orange Country, Apopka FL, Winter Park, Clermont FL, Christmas, Kissimmee FL and Titusville FL. Being located in the center of Greater Metro Orlando downtown area, we are locally and conveniently connected to the following locations via routes I-4 and RT408: Altamonte Springs, Celebration, Christmas, Conway, Davenport, Eatonville, Gotha, Lake Butler, Lockhart, Maitland, Maitland, Melbourne, Meadow Woods, Oak Ridge, Ocoee, Orlo vista, Pine Castle, Pine Hills, Sky Lake, St. Cloud, Windermere, Winter Park, Winter Springs. Travel fees may apply according to the service type and distance from our studio location. Special photo and video service and product discounts are applied at the time of an order. Vaskevich Studios is a non-government site. While our photo studio periodically updates passport, permanent and temporary visa photograph specifications and requirements, you should always bring to us the part of the application that describes the picture requirements. If you have an updated application process information not listed on our photo service pages, you can contact us and we will update our pages promptly. Did you know that we have been a pioneer in analog audio and video to digital format transfer services since 2003? Vaskevich Studios was a part of the first and most progressive software and hardware design team for one of the first products on the market that allowed high definition video stream capture for commercial audio and video editing systems. As a family owned professional photography and video production business, we’re proud of our service reputation. It is our goal to provide the same kind of service to our customers as we would provide to our family. If you had an opportunity to work with us, we invite you to send us an email and tell us how we did. www.VStudios.org. All content ©2019 Vaskevich Studios.